Does your child mix up letters, confusing d and b, or p and q? 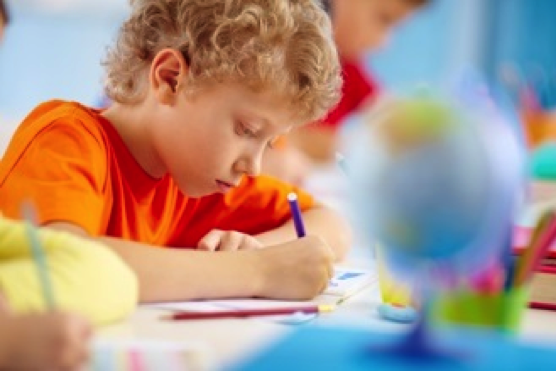 Is your child inattentive and disorganized? Occupational Therapist, Morgan Webster, explains why your child might struggle and how supporting your child’s visual perception could be the key to success in the classroom. Your child’s learning skills are closely related to their vision. In fact, studies show that approximately 80% of what your child learns is information that is delivered in a visual context. Good vision is essential for children of all ages and abilities, but when it comes to learning, your child’s visual perception skills are critical to their success. Visual perception is more then just the sense of vision. It is connected to the way your child’s eyes function and how their brain processes visual information. Visual perception refers to your child’s ability to use visual information, recognise, recall, discriminate, and make meaning/sense of what they see. Visual perception relates strongly to the guidance of movement, for example walking, writing, using scissors, and completing puzzles. Difficulties in this area can limit your child’s ability to learn skills that have a visual component, such as reading, sight words, and spelling. When do visual perception problems become obvious? Academic skills: Your child may have difficulty with reading, writing and maths skills. Life skills: Visual perception difficulties can complicate simple daily tasks, such as matching socks and learning phone numbers. Emotional well-being: Visual perception difficulties can affect how your child completes everyday activities and their ability to engage and socialize with their peers. As your child loses confidence in their abilities and starts to fall behind at school, their self-esteem can be impacted. The earlier your child receives help, the better their chances are of overcoming these challenges. There are 7 different types of visual perception and a child can experience difficulties across more than just one area. Below I have outlined briefly each area and the functional implications they may have on your child’s learning. Have a tough time reading maps and judging time. Finds it hard when copying things that are written on the board to their own piece of paper. Has difficulty locating objects in a busy environment, such as finding shoes in their room. 7. Visual Closure – is the ability to identify an object when only parts are visible. Visual closure also refers to the ability to recognise both the parts and the whole of an object. For example, a child who struggles with visual closure may not recognize a person in a drawing if it is missing specific features such as a smile or arms. This is because visual closure is an abstract skill that enables us to give meaning to things without necessarily having to have all the information about what we see. Have difficulty with spelling because they can’t recognize a word if a letter is missing. If your child struggles with visual perception issues, extra patience and support learning support is required. Seek advice from a children’s occupational therapist who has experience in supporting children’s visual perception and learning. The more you know and understand, the more you’ll be able to help your child. Eliminate visual distractions so that your child is more successful at homework time. Only have what is required on the table for each task, and take away anything that is not of use or overly distracting during this period. Break instructions into brief, numbered steps so that the sequence is obvious for your child. Write information in large, clear letters. Colour coding can be helpful too. Help your child improve their visual perception skills through fun activities. Try doing simple puzzles or reading Where’s Wally? books together. Play memory matching games or spot the difference activities as a family. If your child has struggled with learning a specific spelling rule, and succeeds in their test, be generous with praise. Your support and recognition for the achievement may give your child the boost they need to keep going. Does your child need help to improve visual perception? Kids First’s occupational therapists have supported hundreds of child to improve their skills and learning abilities, and we can help your child too.